Why? We use REAL 24 K GOLD over semi-precious metals (10 X more than usual plating). Designed with the look and feel of solid gold, we offer it at a fraction of the cost. We solder the ends and use superior lobster clasps for strength. No more fiddling with clasps that break! 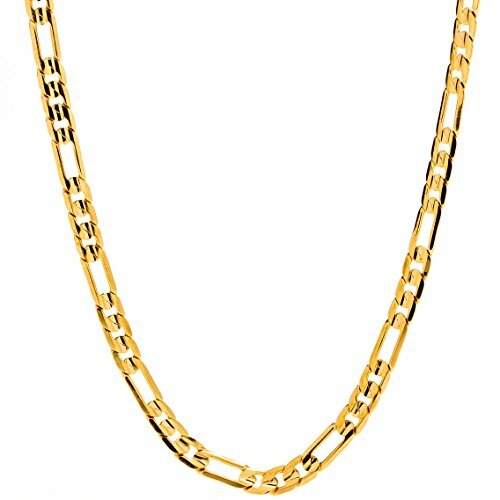 Our 7mm Figaro Chains come in sizes 16"-36". Other sizes are available on request.